The ornamental orchid is one of the nation’s favourite pot plants. 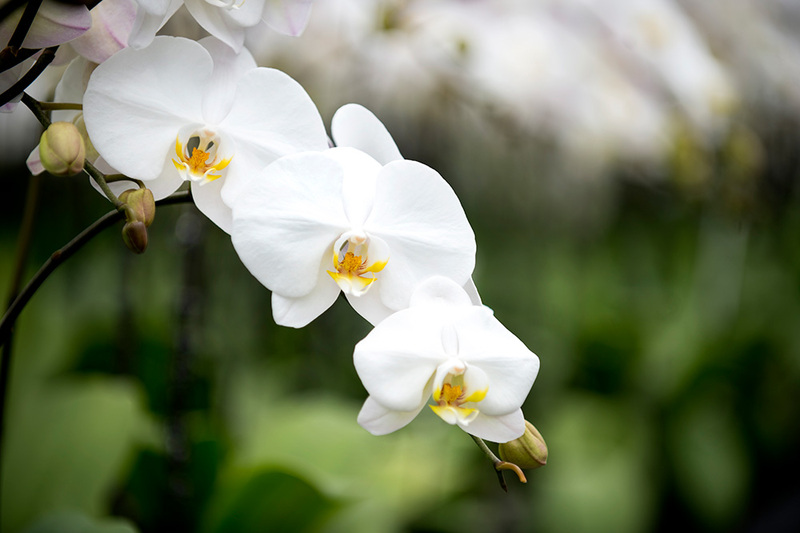 Originating from tropic regions of Asia and Australia, orchids have risen to global pot plant fame thanks to their beautiful, long lasting blooms and elegant form. Their root systems are very small so they do not require large pot space, perfect for window sills and bed side tables. By having an orchid growing in your home or work environment, you are also helping to improve the quality of air around you. Orchids, like any pot plant, absorb carbon dioxide from their surrounding environment and release oxygen back into the air. So not only are they beneficial to your surroundings, they look beautiful too! As well as their uniform natural beauty, Orchids have also been claimed to offer health benefits. Some cultures even believe that orchid flowers as a healer of fever, diabetes, kidneys and lungs! According to ancient Chinese history, orchid flowers, stems and bulbs can be used in traditional Chinese medicine – but personally, we much prefer them as houseplants!